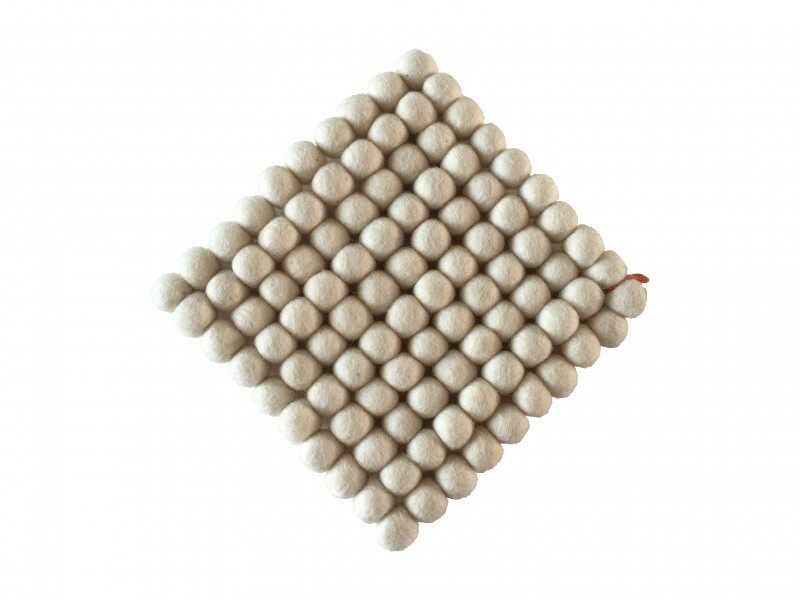 The ' Vilt van Ver' trivets for pots and pans are now also available in natural felt. 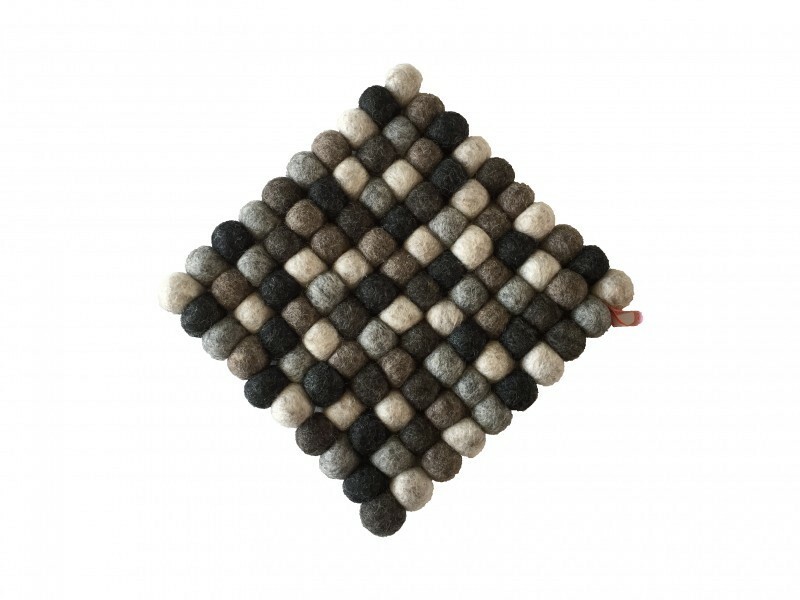 Handmade in Nepal using 100% wool felt balls. As these are handmade, every trivet is unique. 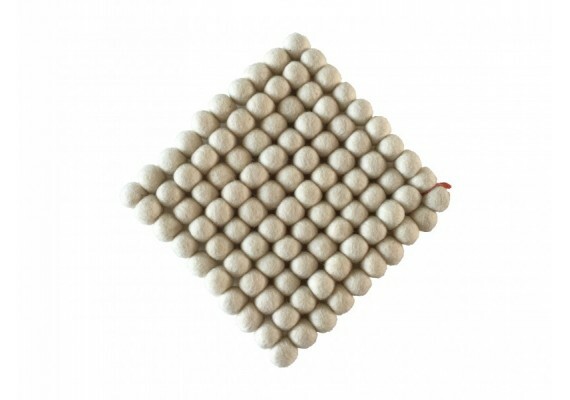 This 20 x 20 cm felt trivet is made of 100 felt balls.